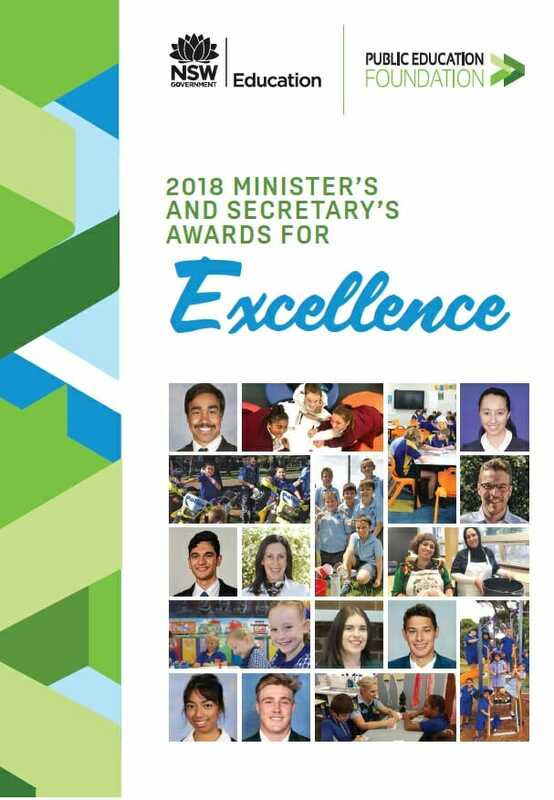 The recipients of the 2018 Minister’s and Secretary’s Awards for Excellence were announced on 29 August 2018. Applications for the 2019 Minister’s and Secretary’s Awards for Excellence open in March 2019. Ninety-one individuals and schools from across NSW have been acknowledged for their outstanding achievement and service to public education in today’s Minister’s and Secretary’s Awards. 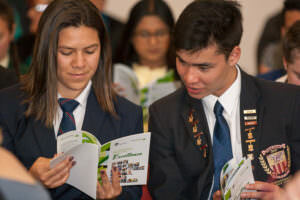 The awards recognise those who have made major contributions as role models to their peers, their schools and school communities, celebrating excellence within the State’s public education system. The Minster’s Award for Excellence in Student Achievement considers achievement in the academic, sporting, cultural and leadership fields, commitment to the school community and personal values. The Minister’s Award for Excellence in Teaching considers professional knowledge, practice and engagement. There are two individual Secretary’s Award categories: the Secretary’s Award for Excellent Service (open to department staff), and the Secretary’s Parent of the Year Award, and two open to schools, the Secretary’s Award for Outstanding School Initiative and the Secretary’s School Achievement Award. 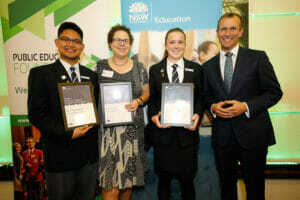 The department acknowledges the Institute of Public Administration NSW for sponsoring the Awards, which are administered by the Public Education Foundation. 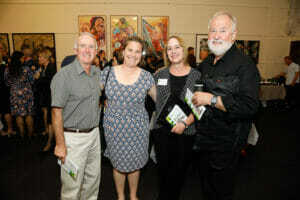 The Foundation’s Executive Director David Hetherington said the Foundation was delighted to work with the department in acknowledging the achievements of students, education staff and parents. “These Awards celebrate the many extraordinary achievements and initiatives in public schools across the State,” Mr Hetherington said. 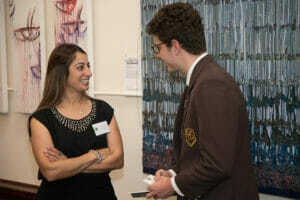 Recognising outstanding year 12 students who have excelled in their secondary years across academic excellence, sporting, cultural, community and leadership. Recognising teachers who deliver the highest quality education to their students and contribute to their professional communities. Recognising NSW Department of Education employees who have shows outstanding effort in improving the quality of teaching and learning outcomes in the NSW Public Education sector. Recognising a NSW Public School’s commitment to teaching and learning outcomes, leadership, supporting their students and/or creating a sustainable learning environment via programs or initiatives. 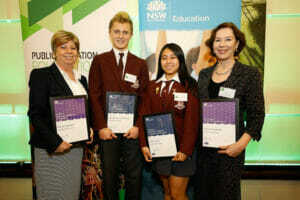 The Award recognises NSW public schools which create a sustainable learning environment through a certain project. The Public School Parent of the Year Award is presented to parents, guardians and caregivers who have made a significant contribution to their local NSW public school community. The full list of 2017 Minister’s and Secretary’s Award recipients please see our media release page.